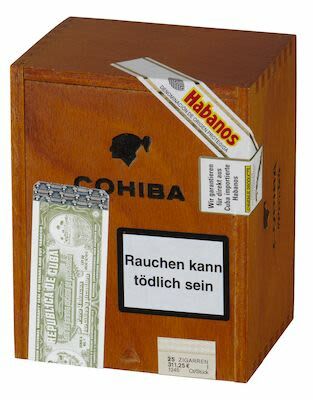 Cohiba Linea '1492' Siglo II 25 pcs. This item is on request. The item will be on stock within 30 days upon confirmation of your order. On the outside Colorado Claro, slightly shiny, surface medium, medium vein. Inside is regular, soft insert / collar. Medium-strong flavor. Mareva format. Length: 129 mm. Diameter: 16.7mm. Ring size: 42.